Here in the South, we’ve been known to make a great cocktail. From the Sazerac to the Mint Julep, some of the nation’s favorite drinks were born right here. Our editors are always “researching” the latest and greatest spots to grab a libation, but we also have our old favorites. Whether you’re looking for the best bars in Atlanta (especially Johnny’s Hideaway) or the best bars in New Orleans, maybe even the best bars in Nashville too, we’ve found a variety of Southern taverns, taprooms, cantinas, and cocktail lounges. They range from cozy and elegant spaces and rowdy dive bars to eclectic waterside spots and downtown drinking destinations. So order up a French 75 at Arnaud’s in New Orleans, down a domestic at Earnestine and Hazel’s in Memphis, or sip bourbon at Haymarket in Louisville. Cheers! So named for its location on the Florida-Alabama state line, this eclectic lounge, honky-tonk, and oyster bar touts itself as one of America’s last great roadhouses. Tourists and locals saddle up to any of the building’s multiple bars or perch on the massive deck, which boasts an idyllic view of the Gulf of Mexico. Order a “Bushwhacker,” a creamy frozen cocktail legendary in the area for its potency, and mark your calendar for the bar’s annual Mullet Toss–yes, we do mean the fish–where patrons compete by slinging scale and gill across the Florida state line into Alabama. Chef John Currence’s celebrated restaurant has been the beating heart of Oxford’s dining scene since 1992, but the bar deserves accolades of its own. Its no-nonsense credo extols the virtue of a heavy pour, which is something we can certainly get on board with. We recommend finding a balcony seat, stiff drink in hand, to watch the comings and goings on the square. Sitting pretty (well, kind of) in the same spot for over 75 years, the Nu-Way Restaurant & Lounge’s praises have been sung by nearly every media type, politician, and pro athlete to make his or her way through Spartanburg, South Carolina. There’s an award-winning Redneck Cheeseburger (secret sauce? still a secret), but it’s not to be confused with the Trailer Park Burger or the White Trash Burger, which are entirely different sandwiches. If you consider “craft beer” a highfalutin phrase and prefer to order your wine by color, this is your spot. Santa is real. He wears a cowboy hat, drinks Coors Light, and, as you might expect, prefers nice folks over naughty ones; it isn’t hard to spy the signs around the bar warning against foul language and other unbecoming behavior. Santa’s Pub is a graffiti-covered double-wide trailer, bedecked foot to hilt in holiday merry, even in the dead heat of July. There’s karaoke too–but you may have to get in line behind a bevy of celebrity fans like Brad Paisley and Ed Sheeran, who have been known to pick up the mic and belt one out under the twinkle lights. Don’t ask for a menu at this funky Birmingham cocktail bar. Instead, prepare to be asked a few questions by your bartender. Knowing your preferred poison, the skilled folks behind the stick will shake you a custom craft drink beneath the whimsical paper planes that hang from the ceiling. Extra perk? The place is full of smartphone charging stations, so you’ll never run out of juice. 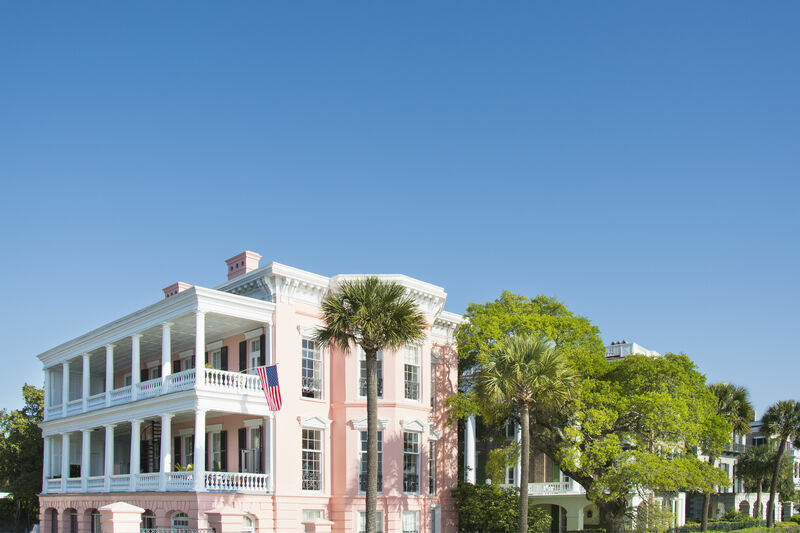 Next door to chef Sean Brock’s popular restaurant Husk is The Bar at Husk, a freestanding Victorian-era home beautifully restored to suit its surroundings in historic downtown Charleston. Famous for its boozy Light Dragoon’s Punch, but also host to a menagerie of thoughtful, potable cocktails, Husk boasts one of the largest bourbon selections in the area—and yes, you can get Pappy here. This members-only cocktail bar (don’t worry, prices begin at five bucks) is named for its owner and life of the party, Gary Crunkleton. 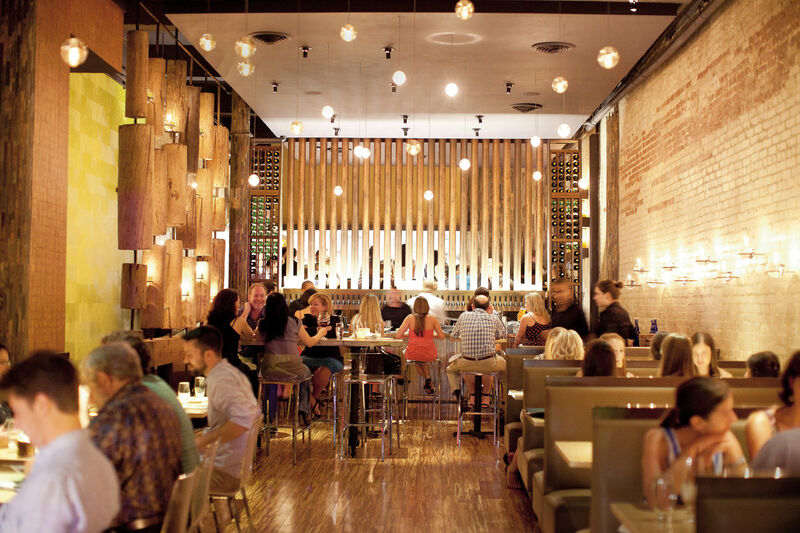 Mission-style furniture and a dapper crew blend the vibe of a bygone era with a thoroughly modern bar menu. Smart riffs on classic cocktails mingle with inventive seasonal offerings, beer via bottle or draft, and thoughtfully selected wine pours to keep just about any seasoned drinker smiling. At some bars, drinking is secondary. Northside Tavern is one such establishment. Here, it’s all about the blues; there’s live music seven nights a week. You may even be singing the blues the next morning, or you might still be buzzing from dancing the night away. The Old Pal is where Athens locals go to escape the downtown college crowd (and have an adult cocktail with more than two ingredients). Located in Normaltown, it’s truly a neighborhood hangout, dedicated to serving quality drinks without pretense to loyal customers. Co-owner Matt McFerron even has his own blend of bitters called “Buster’s Bitters,” named after his dog, who is as welcome inside the bar as your own pup is. The Driskill Hotel is the very embodiment of classic Texas. A sophisticated old-school vibe pulls in an A-list crowd of politicians, celebrities, and other larger-than-life personalities. Order a fancy drink and some Devils on Horseback, then linger on one of the overstuffed cowhide sofas. The infamous Bloody Mary Bar is an annual tradition, serving suffering Texans a little hair of the dog that bit them every New Year’s Day. New Orleans is a city renowned for its rich contributions to drinking culture, but there is perhaps no more important cocktail bar in The Big Easy than Napoleon House. Over 200 years old, the iconic French Quarter landmark has been in operation at this location since the end of Prohibition, and is named after Napoleon Bonaparte, who allegedly sought residence in the building after his exile from France. “It’s where the magic happens.” That’s what locals say about this iconic lounge and dance club in the Buckhead area of Atlanta. Patrons of all ages frequent Johnny’s; twenty-somethings mix with seasoned regulars in their sixties and seventies, which gives the bar a cheeky reputation. Doormen even sport t-shirts that say “Got Cougars?” Period hits from Frank Sinatra, Otis Redding, and Michael Jackson keep the dance floor packed well past when other bars in the area have closed. The rules are simple but strictly enforced: Pay the cover, abide by the dress code, and NO drinks on the dance floor. The Griffon doesn’t care what you think. It’s just going to be what it is, which is the Lowcountry’s favorite grungy little dive bar. For nearly 20 years, patrons have stapled signed dollar bills to the wall of this intimate, English-style pub that serves fish ’n’ chips, a straightforward burger, and a broad selection of craft beer. Tucked quietly inside the enclaves of Palm Beach’s Chesterfield Hotel, The Leopard Lounge’s kitschy vibe caters to a seasoned crowd of snowbirds (who fly South every winter). The retro drink list (Cape Cods! Cuba Libres!) is lauded and tasty, but people-watching is the real event at this island institution. Pay mind, though, what happens here stays here; you might spy a celebrity or two, but absolutely no photographs or autographs are allowed. Resting in the heart of the French Quarter, Arnaud’s has been serving classic Creole cuisine for almost a century, but its sophisticated French 75 bar is where we beeline first. For its first 60 years it was a “gentlemen-only area”; opened to all in 1979, in 2003 it was reincarnated as the high-end cocktail bar we know now. A French 75 is the go-to order—a drink most definitely perfected by the widely adored Chris Hannah, who is generally regarded by in-the-know types as one of the best bartenders in town. The gathering place of choice in Opelika, Alabama, is John Emerald, a family owned and operated distillery in the heart of downtown. They make vodka here—plus gin, rum, and a great single malt. It also operates as a local watering hole and, occasionally, music venue. Drinks are mixed exclusively with JED spirits, of course, but if you prefer beer, fear not—there’s a brewery right next door. Are there really ghosts here? We’ll leave that for you to decide. Here’s what we know for sure: This spooky spot is Memphis’ most infamous haunt. Tales of floating orbs are rooted in the building’s dark history. It was given to two sisters named (yep) Earnestine and Hazel in the late ’30s, who ran it as a café, with extra seating upstairs—if you know what I mean. After World War II, Earnestine’s husband (a street promoter named Sunbeam) opened Club Paradise, and it quickly became one of the Chitlin’ Circuit’s favorite hubs for good music and bad behavior. Over the years, legends like B.B. King, Ray Charles, and Bo Diddley made their way onto the Club Paradise stage, and many walked over to Earnestine & Hazel’s after. As the locals tell it, the place was lively. These days, it’s a dive bar with a popular “Soul Burger” where the bartenders are happy to regale you with tales of ghosts in the jukebox. Tallahassee locals are fiercely protective of “The P.” Like lots of dive bars, sentimental value is a huge part of what keeps The Palace churning. This is where you can freely light up and put back a couple of cold, cheap beers before walking to Doak Campbell Stadium. It claims to be one of the best beer bars in the world, and Asheville locals tend to agree. The Thirsty Monk has wholly dedicated itself to purveying a diverse offering of brews. The taps are always rotating, so you’ll always have dibs on the freshest kegs of something you’ve never had before. In case spirits are more your thing, they’ve also expanded to include Top of the Monk, a pre-Prohibition-inspired craft cocktail bar. There are no frills at this Mississippi dive bar, which means cheap beer from a bottle (no draughts—sorry, beer nerds) and barstools topped with … toilet seats. But locals swear what it lacks in polish it makes up for in character. Kick back here for a round of darts or a game of pool with friends in the most casual of atmospheres. It's the only raw bar on Ocracoke and arguably one of the most beloved watering holes on the Outer Banks. Every walk of life embraces the several-story structure, which boasts a patio with panoramic views and a breezy island vibe that beckons you to sit and stay awhile. Did we mention you can fly in for lunch? Don’t expect a winter wonderland though. Howard’s is closed December through February. The rich mahogany and leather of Cocktail Club screams “members only,” but the friendly staff will be the first to let you know all are welcome at this jaunty bar. Lounge inside and take in the speakeasy-era menu, or enjoy the intimate rooftop terrace, a respite from the crowds bustling on King Street below. Set in the old rail cars of a former train depot, the energy of Donn's sneaks right out the front door and onto the streets. This piano bar (or should we say shack) rattles the walls with dueling keys, two dance floors, and live music every night. This is Louisville, Kentucky, where bourbon is big (and serious) business, and no other spot in the city boasts a better selection (usually around 115 kinds) of brown water than Haymarket. They've collected potent libations for enthusiasts with deep or shallow pockets, including the most private of private barrels and the most rare, most unique American whiskeys, with a focus on Kentucky bourbons, of course. No shoes, no shirt, no problem—and they mean it at Square Grouper, where the likes of Jimmy Buffett and Alan Jackson are known to show up and enforce their own "5 o'clock somewhere" ethos. This open-air bar is little more than a thatch-roof hut with sandy floors, but the beer is cold, the crowd is suntanned and happy, and the view (of the Jupiter inlet and lighthouse, right on the water) can't be beat. This unassuming corner pub in Mobile is regularly written up for its L.A. (that's Lower Alabama, of course) burger. They only cook up a small number each day, so get there early—and hungry. The secret? The patty's mix of Alabama Conecuh sausage and ground beef: rich, juicy, and satisfying. The plate will leave you feeling like you just got let in on one of the world's best kept secrets. This old roadhouse by the levee right outside New Orleans boasts one of the South's finest Bloody Mary's. It also plays home base for a kicking menu of spicy Cajun pub grub (turtle soup, po' boys, and rabbit with spaetzle), with lots of cold beer to wash it down. Gallettes has been raising hell in Tuscaloosa since 1976. It's the shortest walk between a bar and the stadium anywhere in town, which makes it the go-to Crimson Tide dive. Fun fact: Alabama fans can consume almost 5,000 of the bar's signature Yellowhammer cocktails on game day. RTR! This stylish joint wraps you up in its French-meets-Southern flair like a big Mississippi hug. The menu offers oysters, charcuterie, collards and pickled peaches, and much more in what they describe as a “Bubba Brasserie.” Enjoy it all with an impressive selection of whiskeys, or an excellent wine-by-the-glass program. Live music adds a local soundtrack for you to enjoy while you savor it all. The very definition of quintessential Southern charm, The Roosevelt is Richmond's answer to the craft cocktail movement. This is a place where you ought to feel perfectly comfortable saddling up to the bar and setting aside the menu. When the barkeep asks you what you'd like, tell him your favorite spirit and then say, "Dealer's choice." We guarantee you won't be disappointed. What was once a run-down New Orleans firehouse has been given new life as Cure, a chic cocktail bar that knows how to stand out in a city full of places to imbibe. Drink service here is elevated to a thrilling level of execution, one that's born in the details: house-made tinctures, heavy-handed bitters concoctions, even a published manifesto titled "Rogue Cocktails" ... all finished off with a food menu that’s just as interesting (and tasty). It's a bar, restaurant, study spot, and … Instagram-ready bowling alley! Plant yourself in the center of this huge space's convivial buzz by ordering a craft cocktail at the bar, or cozy up in a booth for dinner with your beau. Also on offer: a pool, bocce courts, and a (separate) bar inside an Airstream trailer. Be sure to scope the letter board as you walk in—it credits the night's "DJ," usually a Nashville local, who has curated the evening's playlist. Upper King has a certain reputation in Charleston, but The Belmont offers a safe haven to those seeking refuge from a sea of inebriated undergrads. Sophisticated cocktails are shaken with expert aplomb among a well-dressed, mixed-age crowd, while classic black-and-white films are cast along the wall. A roster of the area’s most seasoned talent works behind the bar at Kimball House, a handsome, sophisticated spot inspired in design and menu by an iconic 1800s Atlanta hotel of the same name. The eponymous signature cocktail washes down nicely with a briny selection from the highly celebrated raw bar. During the weekday happy hour, from 5 to 7, get your oysters half-price. Welcome to the belly of the whale…or should we say Gator? The Salty Dog Saloon is stumbling distance from Ben Hill Griffin stadium, which has made it a popular hangout for University of Florida students, alumni, and Gainesville locals since 1962. The regulars run the place—put the wrong song on the jukebox and you’ll raise all kinds of eyebrows. Students love happy hour, where chow is cheap and pitchers are $5.50. If you can’t decide between curly fries, chicken tenders, or fried mozzarella sticks, don’t worry: Order an infamous “Camellia’s Platter,” which gluttonously hosts all three. It looks just like it sounds. This laid-back beach bar plays host to a casual crowd of sun-kissed vacationers and local surfers craving a cold one after a long day on the waves. One of Atlanta's newest bars, Little Trouble has quickly become one of its most popular. Music thumps unapologetically against a dark, industrial backdrop lit with neon throughout. It’s split in two, with one side more suited for lounging with friends and the other better for those who prefer to chat with their bartender. Both sides offer a full craft cocktail menu, well-made house standards, and smart bar food—think hot ramen and pork rinds. Blink and you might miss this rural, side-of-the-road sharecropper shack in the cotton fields of tiny Merigold, Mississippi. This is one of the last remaining old-school Delta juke joints. Here, after a hot day of work in the blazing sun, farmers burn up their fingerboards and sing the (literal) blues. Take note, though: It is only open on Thursday nights.